Smartphones are now central to the lives of most UK residents. 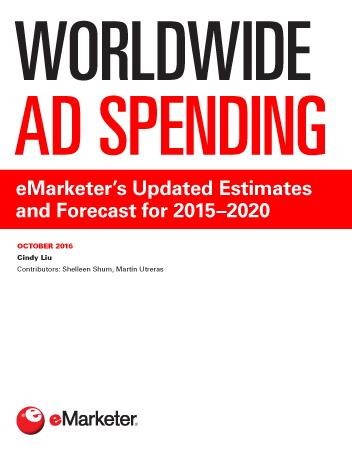 More consumers are buying via mobile, interacting with outdoor ads via smartphones, asking digital assistants such as Siri for advice, and receiving location-based ads or personalized mails on their handheld devices, according to a new eMarketer report,“UK Digital Trends for 2017: Mobile Is the Key” (eMarketer PRO customers only). The UK will be home to 43.6 million smartphone users in 2017, eMarketer estimates, and rank third in the world for smartphone penetration, measured by the percentage of internet users with an advanced handset (80.3%). Fully 81.0% of all UK mobile phone users will have a smartphone next year. Also, the UK will register a greater proportion of tablet owners among internet users than any other country, at 68.5%. Many mobile phone users are using those devices around the clock. According to Deloitte and Ipsos MORI, over 30% of UK residents ages 18 to 75 who owned or had access to a smartphone in June 2016 admitted to checking their phone in the middle of the night. In this advanced mobile culture, smartphones are the main interface between consumers and a number of major trends that will reshape their experience in 2017. Take mobile commerce, for example. Shopping with mobile devices is already big in the UK, and will be even bigger in 2017. Next year, the number of mobile shoppers ages 14 and older will reach an estimated 40.1 million—nearly 89% of the country’s digital shoppers. And many more of these shoppers will click to buy on their handsets. Mobile transactions are already climbing steeply. 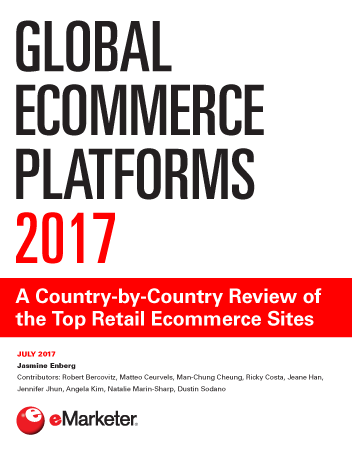 Retail mcommerce sales in the UK will leap by more than £5.5 billion ($8.4 billion) in 2016, to £25.74 billion ($39.34 billion), eMarketer estimates, and grow by several billion pounds each year through 2020. In 2017 alone, mobile’s share of total UK retail sales will climb from 6.3% to 7.6%. Location-based marketing is also a key focus. Location-based tactics have long been on the radar for UK marketers. Efforts have been hampered to date by issues surrounding data collection, data quality, cost-effectiveness and consumer privacy. But 2017 looks to be a breakthrough year, as improved technology powers marketing that individuals will readily opt to receive. Over 72% of UK agencies and marketers surveyed by Pinpoint in April 2016 said they already used location-based mobile marketing of some kind, and a further 21.3% planned to do so. Like location-based ads, personalized marketing has the potential to reach and appeal to individuals much more successfully than standard, mainstream advertising. In 2017, eMarketer expects more quantity—and quality—in this area, as more brands make personalization work for them. Mobile will be a preferred platform. Personalization has already proven its worth to advertisers. A July 2016 Mailjet study found that personalized email influenced 40.2% of UK internet users to click through for further information. In fact, personalization was the strongest single influence on the clickthrough rate (CTR)—surpassing the design or timing of the mail, for example. Three-quarters of UK marketers polled by the Institute of Direct and Digital Marketing (IDM) in August 2016 agreed that personalization led to higher email CTRs, and 82% reported a higher email open rate. More than half of respondents noted an increase in sales and customer satisfaction, as well. Only 1% of these marketers said they didn’t believe personalizing emails brought any benefits. Moreover, just 4% said personalizing emails was not effective.